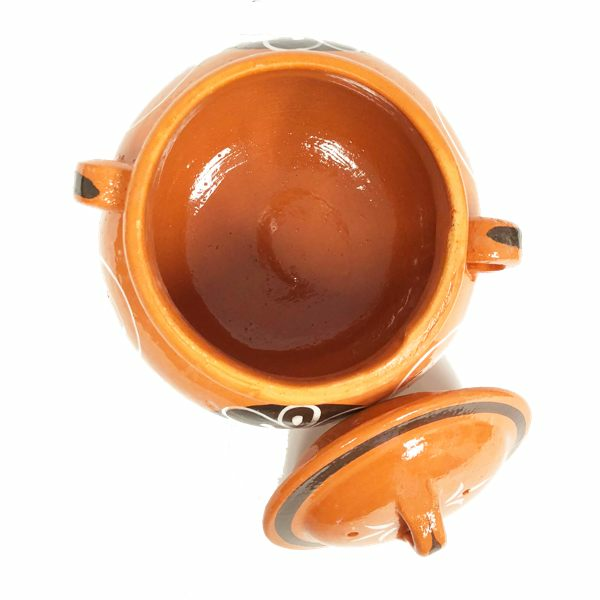 Get ready to enjoy your lead-free clay Bean pot! Below you will find the procedures to cure the pot. 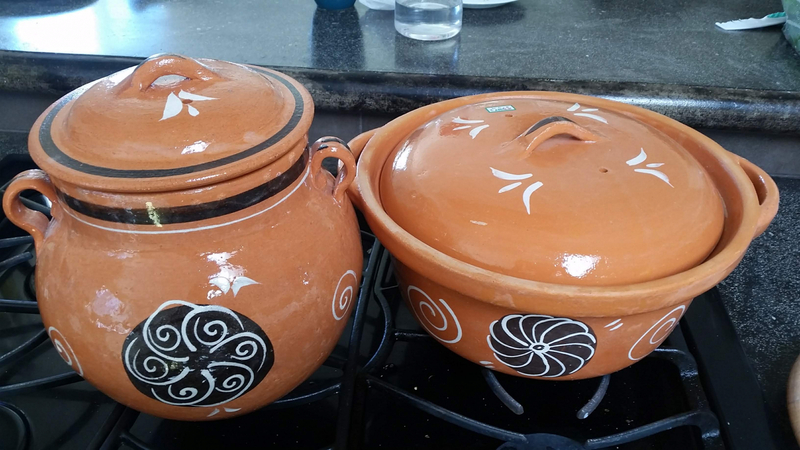 7.- Clay pot is ready for use! Avoid dishwashing liquids or soaps. Scrub it with a plastic scraper. 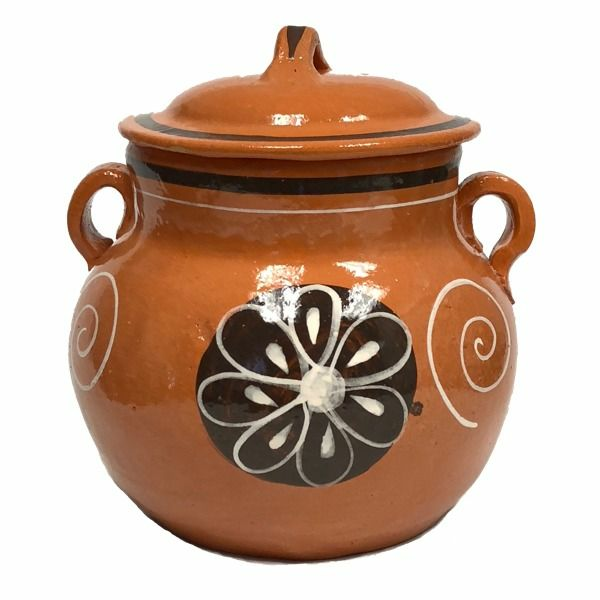 If by any reason the Bean pot arrives damaged, please contact us first via email to info@mexgrocer.com attached an image displaying the damaged or call us (858) 270-0577. 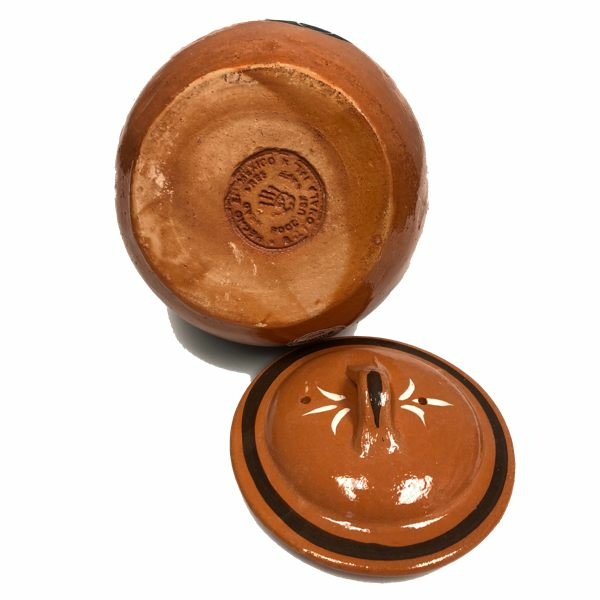 If you are fully satisfied with the Beanpot received, please give us a 5 star Feedback. Thank you! 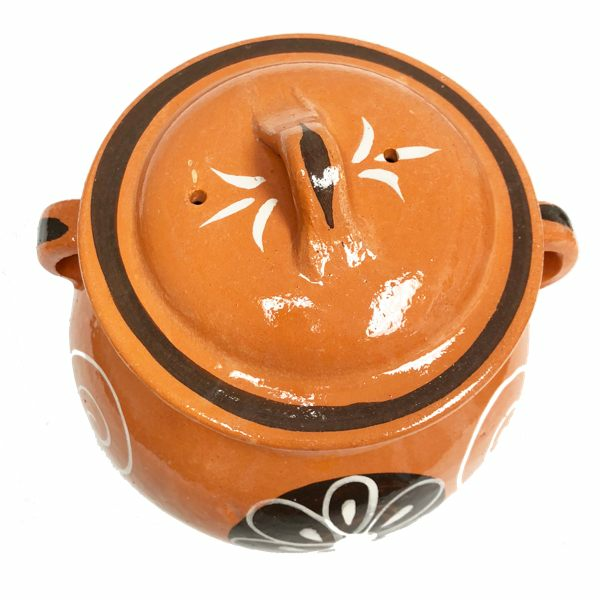 Me he enamorado de esta hermosa olla, me llego a tiempo y en buen estado junto con tras cosas que ped?. ahora estoy en espera de comprarme otra cosas mas. H 9 1/2" x W 6 1/2" Base 5"
6" x 5" x 2 3/4"